Conscious Birthing has a unique feedback protocol. Firstly, we ask for a little feedback from every new family who has spent time with one of our Student Doulas, through our 'Family Reflections' forms. These forms are sent to each Student Guide and the feedback is then shared and considered with each Student, encouraging a reflective practice. We also issue 'Student/Midwife Relations' cards, which our Student Doulas hand to every midwife who they work with for 2 hours or more. This unique protocol is there to maintain the high standards which we keep, of working in harmony with those who are supporting you medically and keeping great relations in the birth room as we advocate for and support you, during your most precious birthing time. We are the only Doula organisation in the world who offer this, to our knowledge! We are collecting your Vlogs! Please send any short video testimonials to: info@consciousbirthing.co.uk for future publication here on the website. For any other feedback which you would like to give us, please contact Sarah, who might put a few words on the website. You can meet Sarah below. Sarah Holmes: Secretary, Complaints and Feedback manager, Business Support Doula. Sarah Holmes describes herself as a 'Doula for Life', a term which reflects the multi-faceted supportive roles a traditional lay handy-woman can serve within. 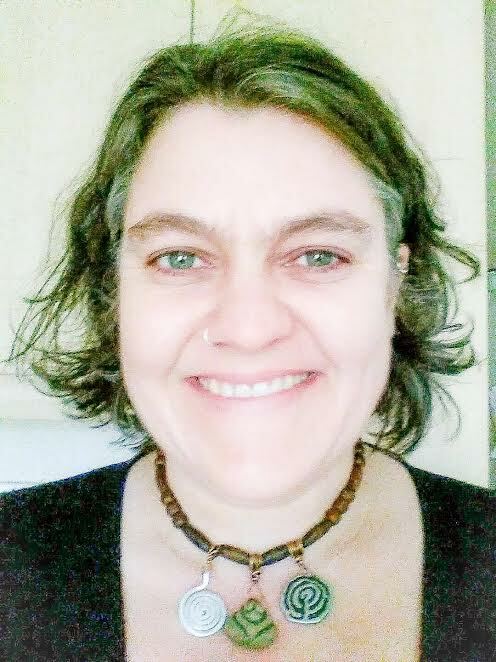 Sarah is passionate about the grass-roots origins of our work as doulas, and is deeply inspired by her great grandmother who served as a handywoman in the north east and was regularly called to attend both women in labour and to the dying or recently transitioned. Sarah has been supporting women during childbirth since she was about 4 years old and found herself the sole support for her Mother as she had a spontaneous first trimester birth at home. This intimate connection between birth and death has been the theme of Sarah's vocational journey ever since and has been echoed time and time again through Sarah's own birthing and life experiences. Sarah has supported many pregnant and birthing women over the years but has also been the go to friend, for support with anything from homelessness, domestic violence and abuse, addiction recovery, mental health problems,relationship breakdowns and grief. All of this experience underpins Sarah's passion for being a doula for life, and her ability to offer loving, non-judgmental and compassionate support through anything and everything that life can throw at us. Sarah trained with Conscious Birthing in 2012 because after the birth of her youngest daughter, she wanted to learn what physiologically normal birth was (having never experienced it herself) in order that she might one day support her daughter without her own birthing blueprints getting in the way. Sarah went on to support many local families working as a birth and postnatal doula and mental health doula until early 2016. During that time Sarah also worked as a volunteer with a local hospice and then went on to spend 9 months working as a community carer in order to expand her skill and knowledge set of wider adult care needs, with a special interest in End of Life Care and Dementia. Sarah is also a very experienced practitioner and teacher of Original Japanese Reiki , her reiki practice providing the deeply grounded foundation of her ability to serve as a Doula for Life. Sarah has also been helping to run the Wincanton Breastfeeding Cafe since 2011. Drawing on her extensive experience of working in varied secretarial and administrative positions over the years, combined with her vocational knowledge and experience of working as a life doula, Sarah joins the team at Conscious Birthing International as our Business Support Doula, Compliments/Complaints manager and Web-Mother for our virtual meeting spaces. Sarah has 3 children and lives in Bruton with her partner and 2 youngest children.